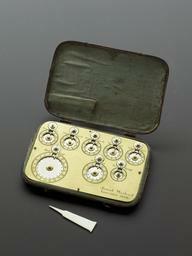 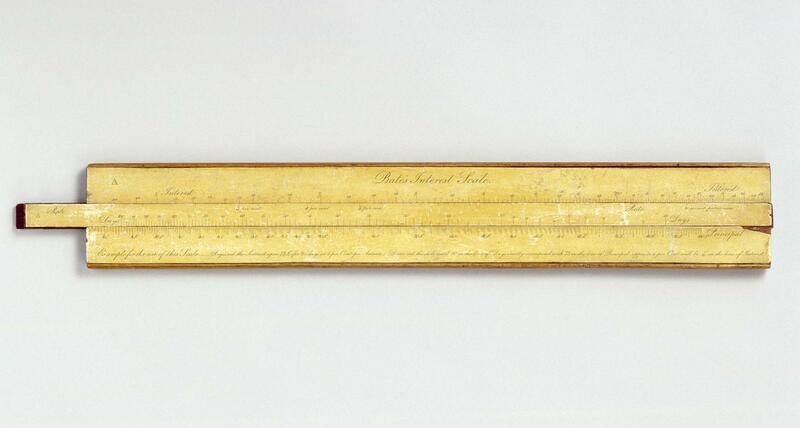 Slide rule, Bate's Interest Scale, published 1st June, 1824 by R.B. 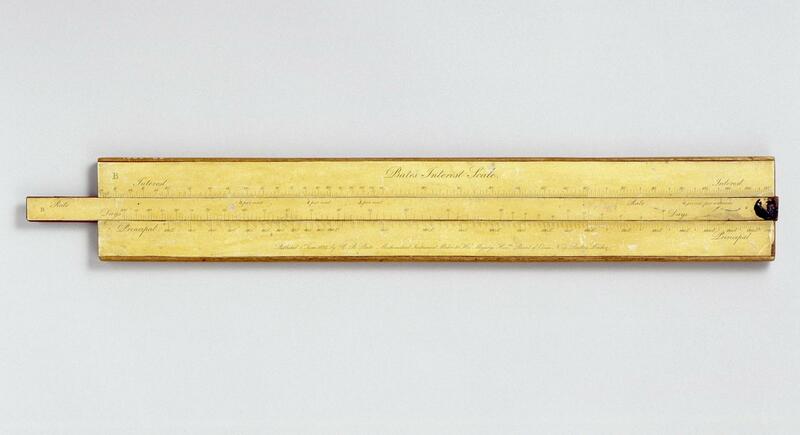 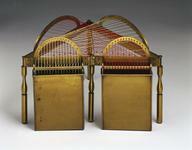 Bate, London, 1824; paper scales on wood, two slides, one on each face; size 18 7/8" x 2 7/8" x 3/8"
Paper slide rules became popular in the early 19th century. 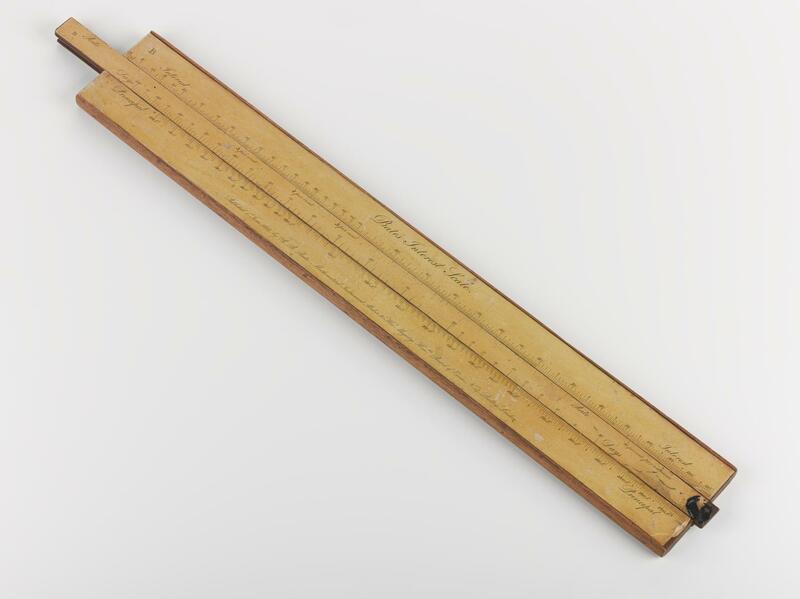 This example is by Robert Brettell Bate, a well-known maker, and can be used to calculate interest at various rates for various periods for various principals, or lump sums.